The Grampians are the heart and soul of Marty Schoo’s photography. Hollow Mountain. The Wimmera Plains seen from within a cave in Hollow Mountain. Grampians National Park, Vic. (See extended caption below). Rolling Storm. 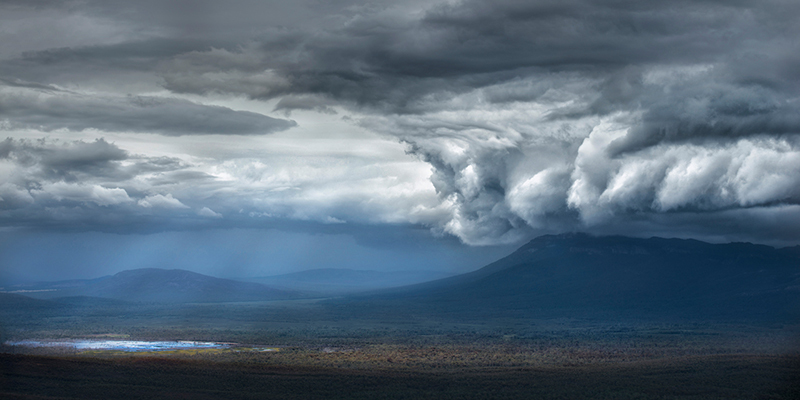 Storms roll in over the Victoria Range in the Grampians National Park. Grampians, Vic. When he was just four, Marty’s family immigrated to Australia from the Netherlands. They settled in Bendigo where he would grow up in a household in which taking photographs was the norm. Now based in Halls Gap in his beloved Grampians, Marty earns a living as a professional photographer specialising in on-location wedding, commercial and portraiture work. As a Master Photographer with the AIPP, he’s earned numerous awards for his landscape work – much of which he’s captured in the Grampians. As a kid his early acquaintance with photographic principles meant, he said, ‘we knew how to take a correctly exposed photo from a relatively young age. But processing film wasn’t cheap and being Dutch, I grew up a bit tight in that regard,’ he chuckled. Financial constraints being what they were, he couldn’t afford to cultivate a relationship with any particular emulsion. ‘I was young so it was whatever you could get your hands on,’ he laughed. ’It was pretty much whatever I could afford. Fuji 100 was probably my favourite. But me being colour blind, I couldn’t really tell the difference anyway,’ he laughed. Bushfire #7. 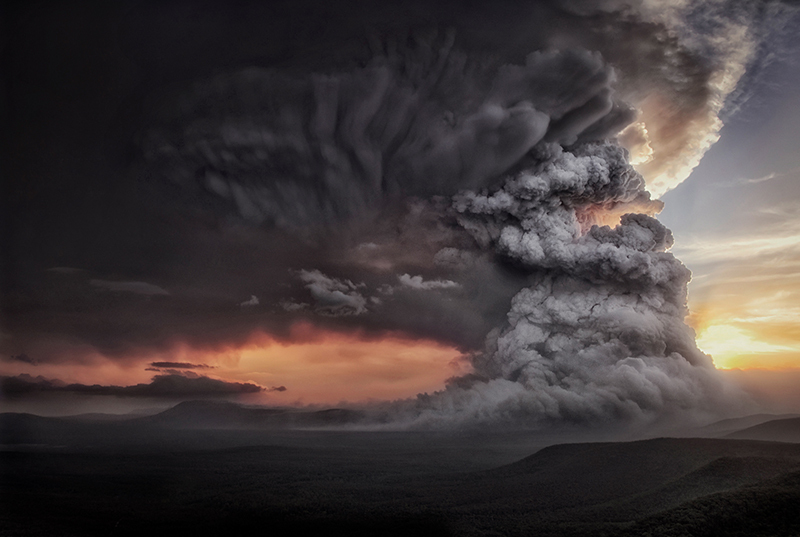 Bushfire erupts, Grampians National Park, Vic. Despite the family background in photography and a long-standing love of the landscape, it took a natural calamity to turn Marty into a professional photographer. Although it’s a small part of his business, Marty also gets great satisfaction from taking photographers into the environment he loves and teaching them how to improve their craft. Combining his photographic skills with his adventure industry experience and intimate familiarity with the Grampians means the experience is as rewarding for the teacher as the student. When he worked in the adventure tourism business, Marty taught people how to abseil and rock climb. It was, he said, often a matter of getting people outside their comfort zones in a physical context. He still pushes his students, only now the comfort zones in question are those about changing their camera settings. Before he dives into the finer points of landscape photographic composition, Marty ensures his clients have a firm and confident grasp of the basics. He introduces them, for instance, to the art of spot metering and then shows them how getting off the Auto setting allows them to take control of their photography. 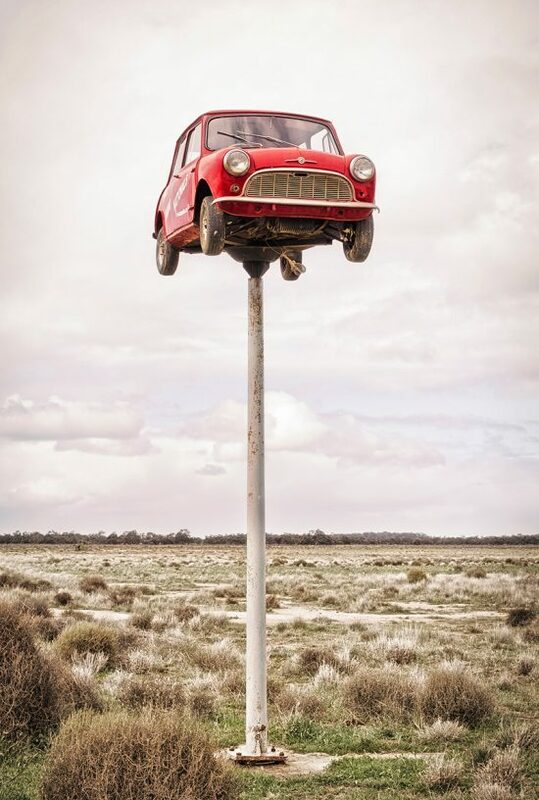 Car on a Pole. Mini mounted on a pole, outback NSW. Learning to see the world the way an accomplished landscape photographer does is a particular teaching challenge. Along with fundamental concepts such as the rule of thirds or leading lines, Marty also helps his students to look more deeply into what it is that first catches their interest. 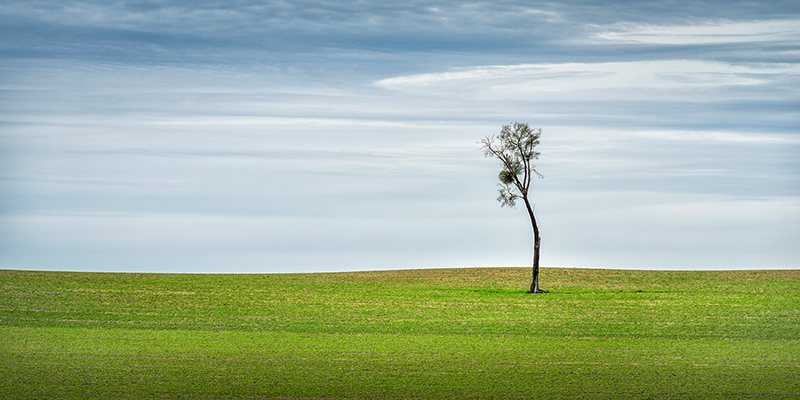 One Tree. Mallee region, Vic. Landscape photographers often seem to fall into one of two groups: the patient types who will happily wait hours for the light to be just right on the one hand; and those with a more restless bent on the other. ‘I’m patient at teaching people, but I’m very impatient at waiting for a landscape,’ Marty laughed. ‘I find that I shoot as I see it when I’m there. I don’t sit around for two hours waiting for the light to change. You hear of some photographers – and good luck to them because they produce amazing images by sitting there for three hours – waiting for that magic hour to arrive. I can’t do that. ‘I guess it’s that travel that I’ve always done. If I’m driving 400-kilometre days then when you get to these points of interest, you’ve got to capture it in the light you’ve been given. Mallee Storm. 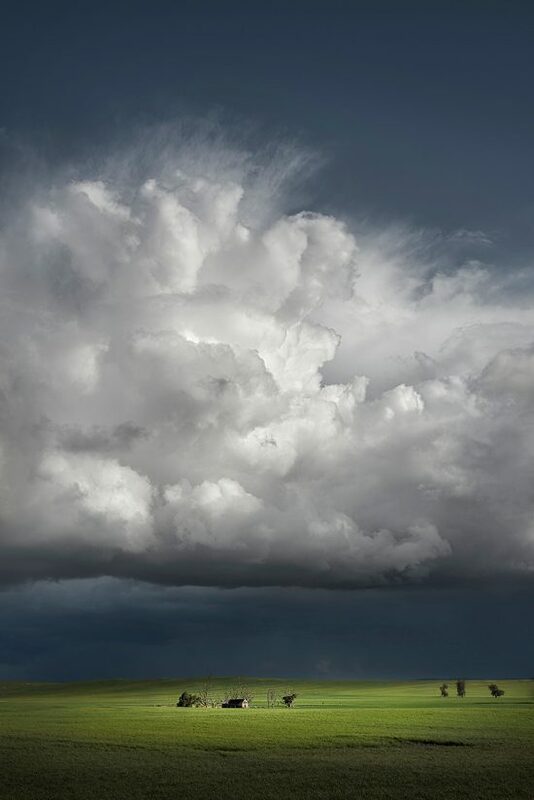 Huge storms build over the mallee plains dwarfing farmyard buildings. Mallee region, Vic. When asked what it is that keeps him coming back to the landscape with his camera, Marty joked, ‘It’s a good question. I know I don’t like being on the other side of the camera, so that probably helps. I guess it’s that artistic expression. And I like capturing places that plenty of people will never get to see. I like documenting it and getting that wow factor. 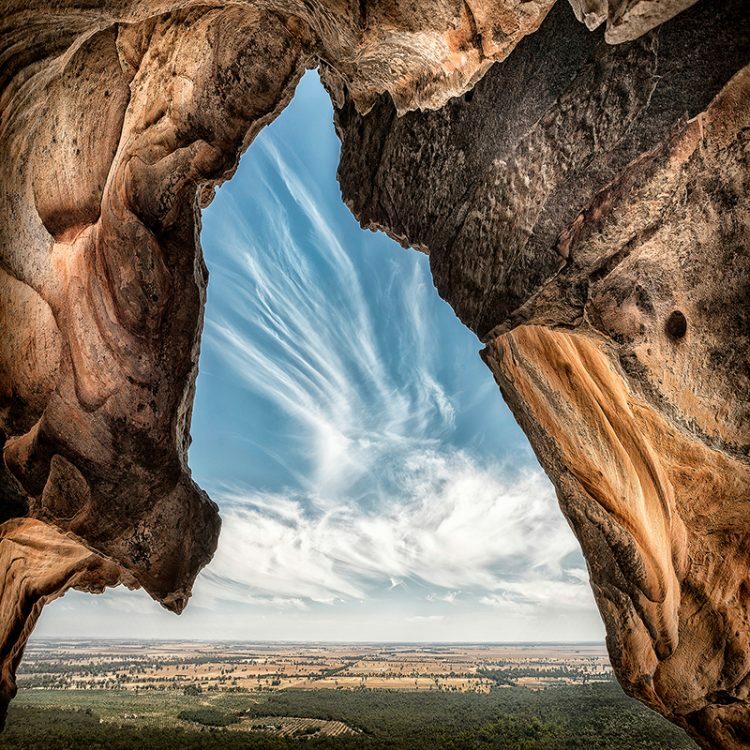 ‘Hollow Mountain is in the northern Grampians and the image was taken only three weeks or so before a big bushfire went through this section,’ Marty said, adding ‘on this particular trip I was just taking some relatives up there, and I only had two little prime lenses with me. I wasn’t expecting to be able to capture anything. This was photographed in the middle of the day, highlighting the fact that you can shoot in what other people say are not ideal circumstances. ‘I deliberately kept the foreground out because the rock we’re standing on is bathed in very harsh sunlight. Essentially I’ve used that foreground as a big reflector to light up the rock. I happened to be wearing a white shirt that day and it was helping a bit too. I’ve obviously used the RAW capability of the camera to bring out the shadows while keeping my highlights in check.